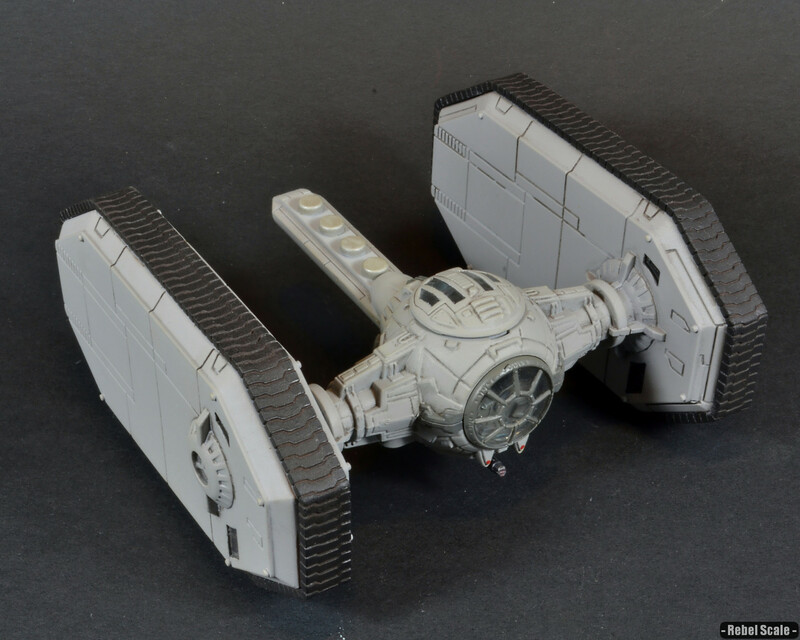 This was a fairly easy kit-bash consisting of an AF TIE Fighter and a Wizards of the Coast TIE Crawler. 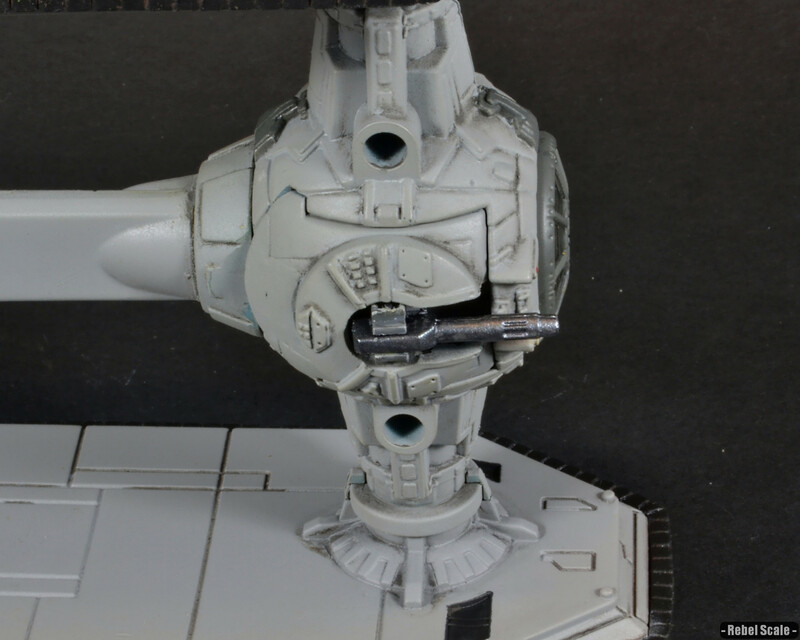 The treads on the TIE Crawler featured attachment points that (with a little Dremel work) fit the AF TIE’s wing roots perfectly. I created a retractable turret on the bottom; however, it doesn’t retract very well. Still, it was an early model, and I may later go back and rework the turret. Painting was similar to the TIE Boarding Craft, with a lot of light grey and black. I added a heavy wash to the vehicle, but I may later return to it and add more debris to it’s hull. 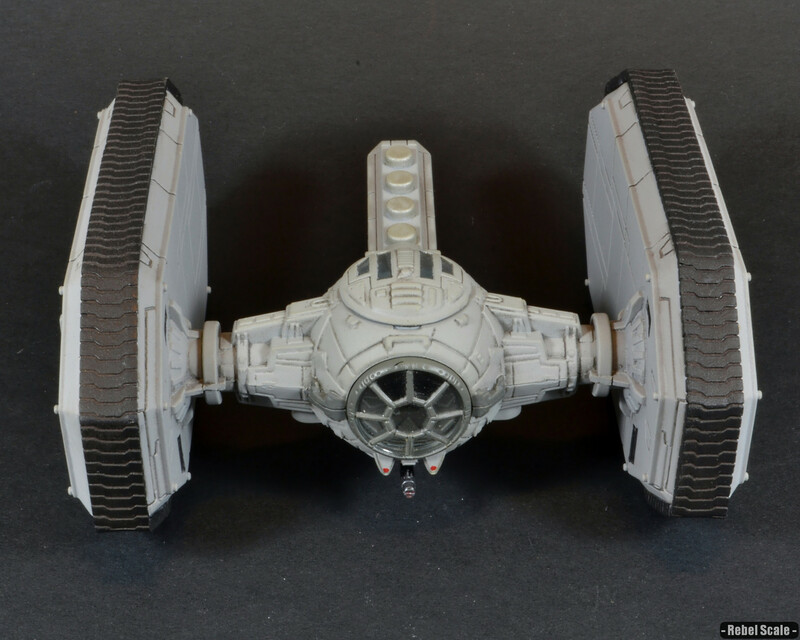 The TIE Crawler was the Empire’s answer to a fast ground assault vehicle, which if destroyed, wouldn’t cost much to rebuild. 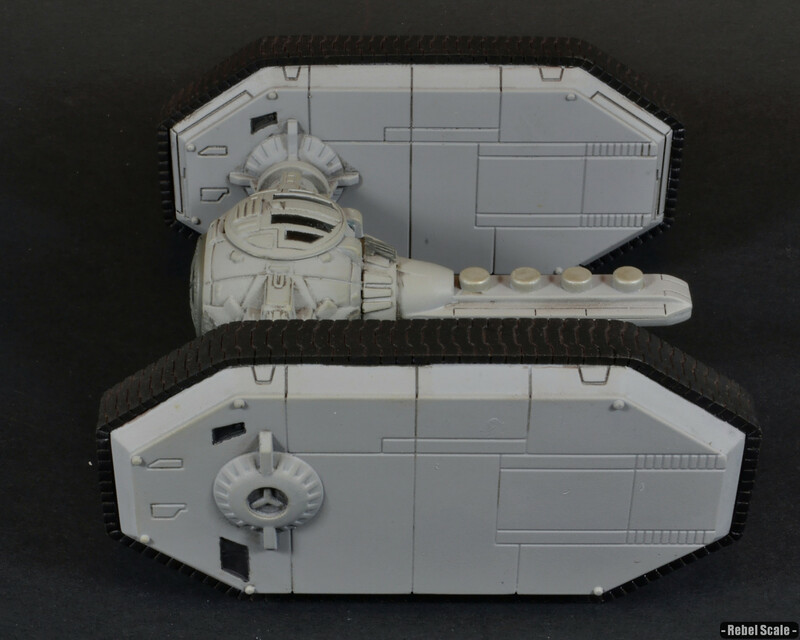 It featured the standard TIE ball cockpit with large tank treads attached on either side. 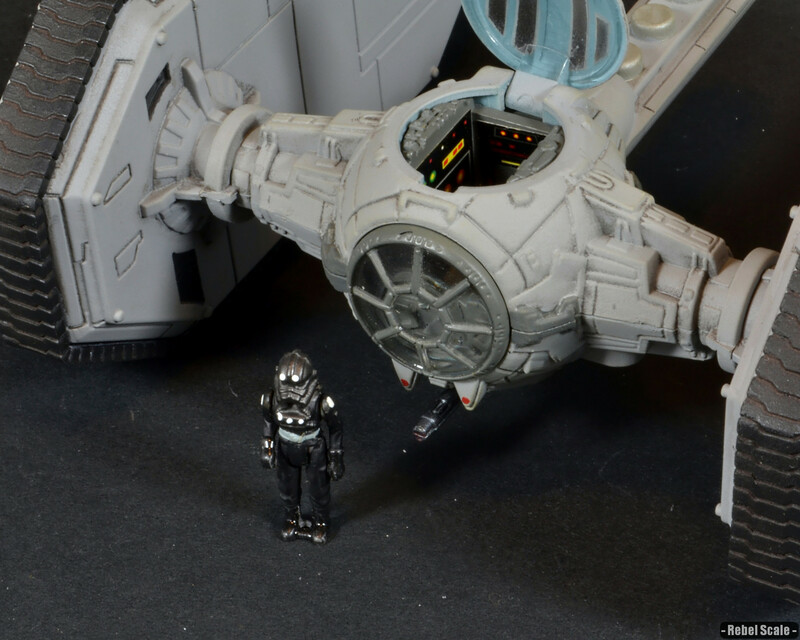 A slender tail section featured multiple power cells, similar to those used in the AT-ST. 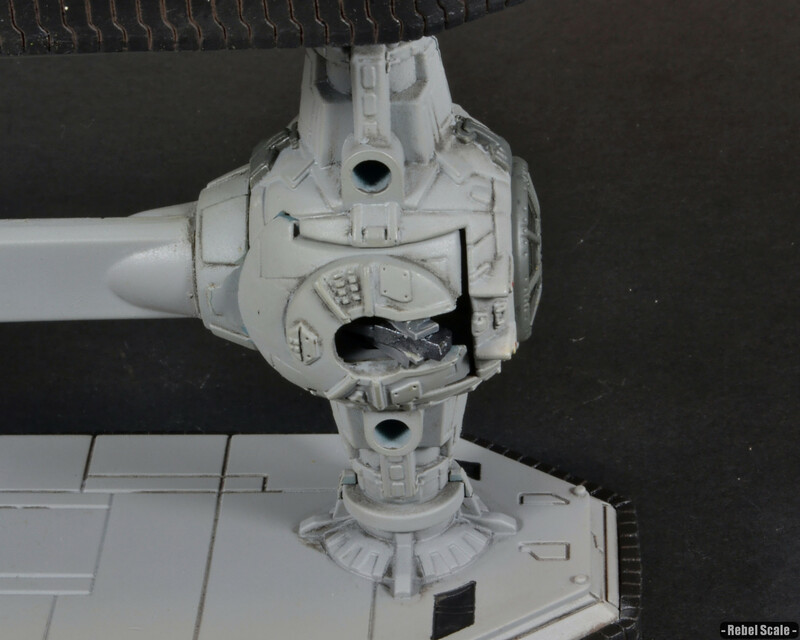 The energy compliment powered the tank, the medium blasters, and a light turbolaser turret underneath the cockpit. 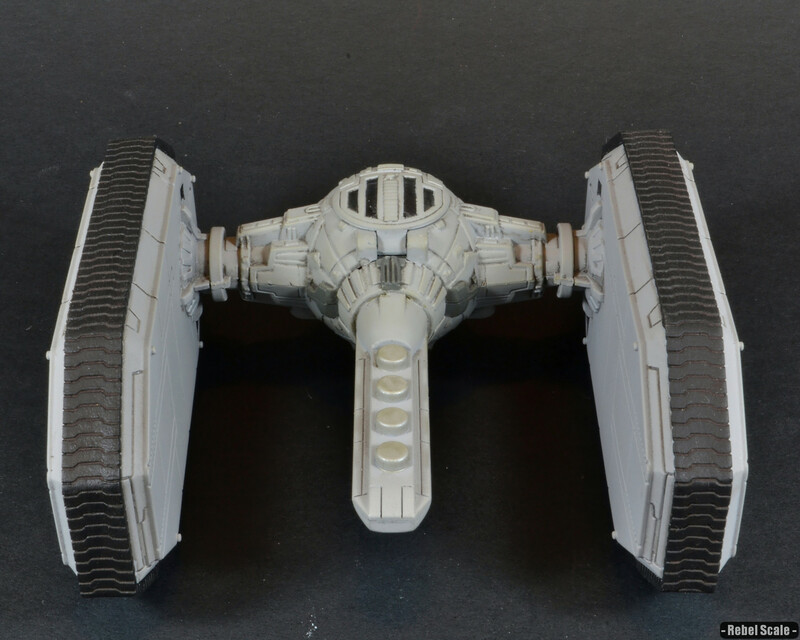 The TIE Crawler could reach speeds of 90 km/h, and could quickly route enemy forces. It was however weak in the rear, but was designed to act like it’s space counterparts: mass overwhelming attack. Still, it wasn’t as “all terrain” as the walkers that continued to make up the backbone of the Imperial ground forces.